Brussels sprout is something that I never knew what to do with. These are not quite common in my place, so I came across only when I moved to USA. Have seen lot of co bloggers inducing Indian style dishes with these. Now its my turn 🙂 and it is going to be zero oil 🙂 It is a very simple dish and tastes yummy with phulkha’s , I didn’t feel that oil was missing. Roughly chop tomato, onion and blend it to a fine paste. In a pan heat this paste, add ginger garlic paste and heat for 5 mins. Add Brussels sprouts and heat. Cover with a lid for 5 mins. Next add red chili powder, turmeric powder, garam masala powder, salt and mix well. Add 2 cups of water and let it boil to a nice gravy. 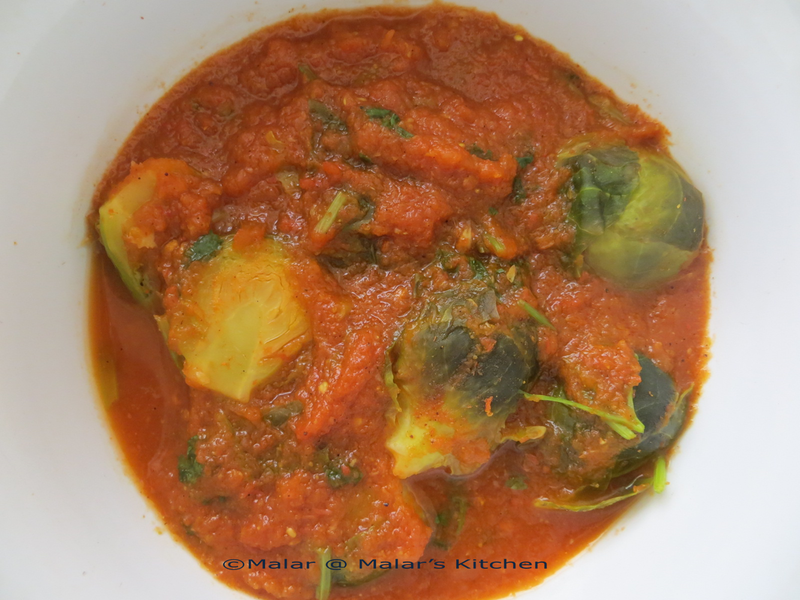 It took around 15 minutes to get to the gravy consistency and the brussels sprouts to get cooked well. 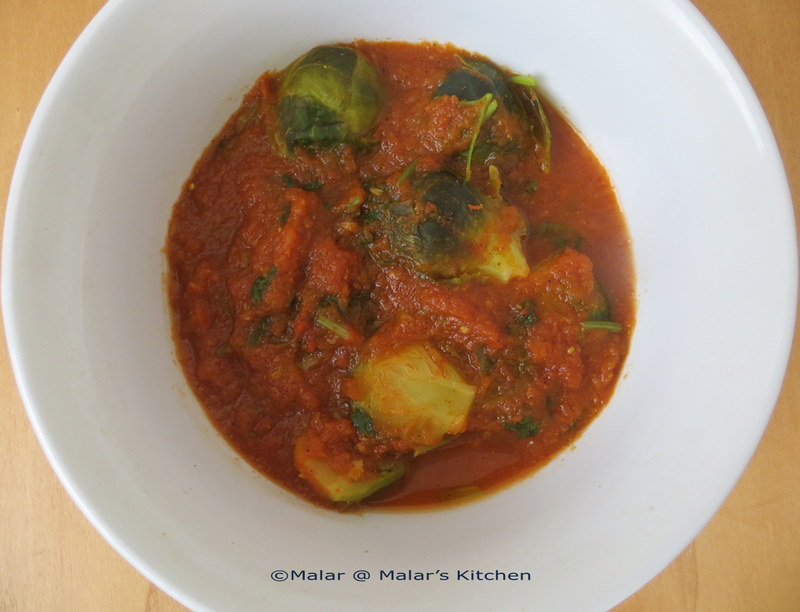 If you would like to have the oil version, then heat oil in a pan, add mustard seeds, cumin seeds and when they splutter add the tomato paste and proceed the same way above mentioned.